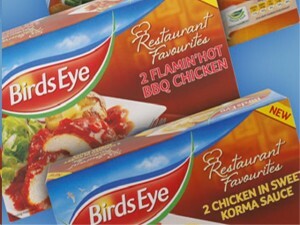 Popular brand BirdsEye has launched a new line of frozen products to the UK market. This newly introduced frozen line consists of different types of chicken products. The new frozen chicken range is divided into two types: “chunky chicken fingers” and “chunky grills.” Each of these types has three varieties: “Flamin’ Hot BBQ,” “Hunter’s Chicken” and “Sweet Korma.” Both of these types combine two chicken breasts with a special marinade and are then oven-cooked for only 35 minutes. The new “chunky grills” are about 50% bigger than the currently existing BirdsEye range of chicken grills. Definitely, the new chicken grills will offer consumers with bigger portions. The new “chunky grills” are available as breaded, southern fried or battered. Like the new “chunky grills,” BirdsEye “chunky chicken fingers” also hopes to appeal to both adults and teenagers. This type of frozen chicken product is available in six-packs. For a meal, two pieces of the chicken fingers is considered a portion. These new line is inspired by restaurant favourites. According to BirdsEye’s manager for general marketing, the concept of restaurant favourites is a new one for the company. This is the company’s answer to the increasing trend of consumers availing of restaurant favourite-inspired food products. BirdsEye is confident that these new products will be a hit and will offer mums with more choices when it comes to mid-week meals. The two types of frozen chicken products are already available in major retail stores all over the country. They were introduced to the UK market on the 5th of September.